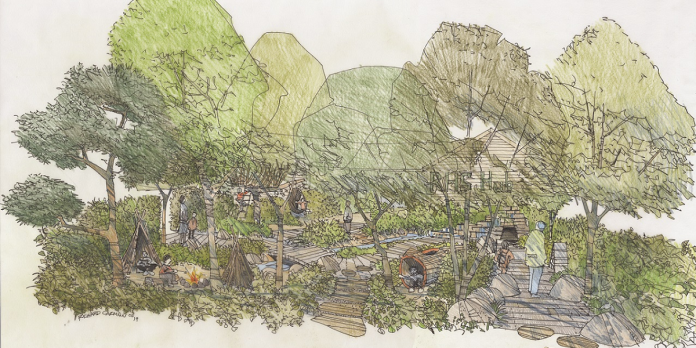 The Royal Horticultural Society (RHS) has revealed the designs for all gardens to feature at the 2019 RHS Chelsea Flower show. A dynamic garden of water and stone inspired by interconnectivity between our online and offline lives. Every family faces pressures; this garden represents the journey of a family facing these everyday pressures and challenges in their lives. 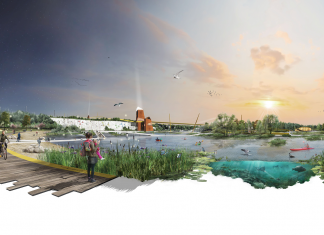 The garden aims to showcase a city reinvented, and inspire conversations about the potential of green space within UK cities. A garden inspired by the UK’s love of beautiful gardens that explores how to continue the tradition of creating herbaceous-rich spaces, while managing resources more sensitively. This garden celebrates the Forestry Commission’s centenary year, marking 100 years of forestry and looking ahead to the biggest challenges facing forests of the future. See a full list and details of RHS Chelsea Flower Show exhibitors at rhs.org.uk. Among the designs is the RHS Back to Nature Garden, co-designed by HRH The Duchess of Cambridge and landscape architects Andree Davies and Adam White PLI for the 2019 RHS Chelsea Flower Show. The Garden draws inspiration from childhood memories triggered by the natural world. Key elements of the design include a hollow log for children to climb through, a den, a waterfall, a stream and a tree house. The RHS Back to Nature Garden is key to promoting the physical and emotional well-being that access to green spaces and gardening provides. The RHS’s partnership with NHS England is at the heart of the project, and after RHS Chelsea, much of the planting and some of the landscaping will go to an NHS Mental Health Trust. The Duchess of Cambridge and Davies White will co-design two further RHS Gardens, maintaining many of elements from the Garden at Chelsea, throughout the summer and autumn.